Cold weather and old car, often don’t mix well. Classic cars don’t have traction control, ABS, and electronic ignition, so they mist up easily. But, that’s why they are classic and so much loved. Instead of letting winter be harsh on your prized possession, and waiting for the weather to get pleasant to bring it out of the garage, you need to understand the basic needs of your car. 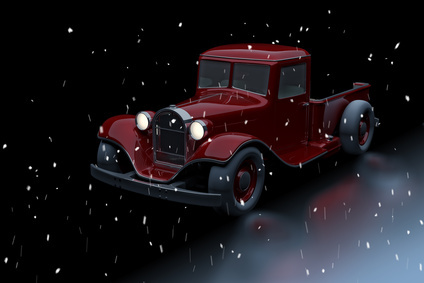 The blog post covers simple and affordable ways to help your classic car survive winter. Take a look. Dampness can have a catastrophic effect on the car, as it leads to rusting, deteriorating electrical systems and spoiling the interiors. Invest in a Carcoon to solve the damp problem. If you don’t want to buy a Carcoon, make sure that the car is stored in a waterproof area and there’s proper air circulation to reduce dampness. Undersealing the car or even injecting cavities wax will protect the hard-to-reach areas from rusting. A thick resilient coating is applied to the chassis of the car that protects it against impact damage from small stones and also reduces the chances of rusting. A weak or low-quality antifreeze mixture can kill your classic car. The chances of freezing inside the engine increase, when the car isn’t used for a long time. Prepare a right mix of antifreeze and water, otherwise, it might corrode everything inside the engine. The minimum recommended ration is 30:70 and the ideal is 50:50. There’s a high probability of condensation in an empty fuel tank, which can ultimately lead to rusting. Make sure that you keep the tank full, to avoid this problem. Damp roads, mud, salt – you have to face them all, when you take out the classic in the winter. The risk would, however, not look that big a deal if it helps in keeping the car in a good condition. Storing your car inside the garage could lead to seals drying out, ancillaries giving up and parts seizing up. Make sure that you run the car for at least 15-20 minutes once in two weeks.